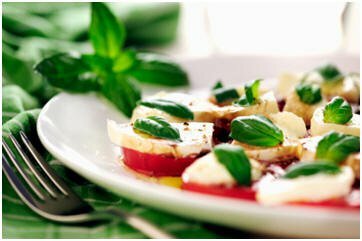 Arrange tomato slices, mozzarella & basil leaves in a circular pattern on a platter. Drizzle lightly with extra virgin olive oil. Sprinkle with kosher salt and fresh cracked pepper. Drizzle with balsamic vinegar.